Or, why HDR is a bigger deal than 4K. There has never been a better time to buy a new TV. Huge 4K sets are cheaper and look finer than ever. Perhaps more important, there are finally a few new technologies that make upgrading from your old set worth it: HDR (high dynamic range) video and a wider color gamut. And if your budget allows, OLED TVs are well within reach. It's easy to get overwhelmed with these new options, so let's break down what you need to know before buying a new TV. The first thing you have to ask yourself is pretty straightforward: How large does your new TV need to be? Given how much prices have fallen, it might be tempting to go as big as your budget will allow. But that could easily lead to buying something that looks ridiculously oversized in your space. A good way to figure out the best screen size is to measure the viewing distance from your couch to your TV stand. Once you've got that, just plug it into this tool from the TV review site Rtings.com, which uses viewing recommendations from the Society of Motion Picture and Television Engineers. A 50-inch set, for example, should sit 6.8 feet away for mixed-use viewing (basically, a combination of TV, movies and gaming). At that point, it's taking up 30 degrees of your field of vision. If you're a cinephile and want to truly immerse yourself, though, you'd need to sit five feet away so that it covers 40 degrees of what you're seeing. Most living rooms could easily fit a 50- to 55-inch set, but if you've got a large space to work with, then a 65-inch model might make more sense. Of course, your existing TV should give you an idea of what fits in your space. But keep in mind that newer TVs are thinner and have smaller bezels, so you might be able to fit something larger than your aging HD set. If you really can't fit anything bigger than a 42-inch TV in your space, though, then you're better off not upgrading. There's just no point in getting a 4K set that small. While 4K is the marketing term you'll see attached to new TVs, it's not an upgrade that you'll immediately notice. Technically speaking, 4K sets have four times as many pixels as 1080p, or "Full HD," TVs. But most people won't see a significant difference from their couch. Instead, the bigger benefit with this generation of TVs is the addition of HDR, which highlights bright and dark content better than we could ever see before. There's also support for wide color gamut (WCG), which, as you'd expect, lets you see a larger variety of colors. Together, they add more detail and contrast to what you're watching -- in many cases, the image "pops" off the screen more than with older TVs. In Daredevil, on Netflix, for example, you can see much more during the show's many night fights. One scene in the first episode, where Matt Murdock is showing off the giant neon billboard right outside his apartment, demonstrates how HDR can juggle both extreme brightness and darkness in the same shot. Currently, there are two competing HDR formats: HDR10, which is widely supported across the industry, and Dolby Vision, which works only with select TVs, players and content. When buying 4K equipment, just make sure it supports both formats. They each do everything we described above, but Dolby Vision technically looks better. It uses dynamic metadata, which allows it to adjust color levels and contrast settings for every scene. HDR10, on the other hand, relies on static metadata, which gives it only one set of instructions for every piece of content. Unfortunately, we can't demonstrate the impact of HDR and WCG with a screenshot or video; it's visible only on displays that support the technology. You'd have to stop by an electronics store for an in-person demo. Once you do, though, you'll notice the difference immediately. For the most part, HDR and WCG best serve newer films and TV shows, which were likely produced with the technology in mind. It's a more contentious addition to classic films, since it effectively changes what the original director and cinematographer wanted you to see. HDR in the 4K version of Goodfellas, for example, actually makes the film look worse. In this sense, adding HDR to older movies is a bit like adding color to black and white films. 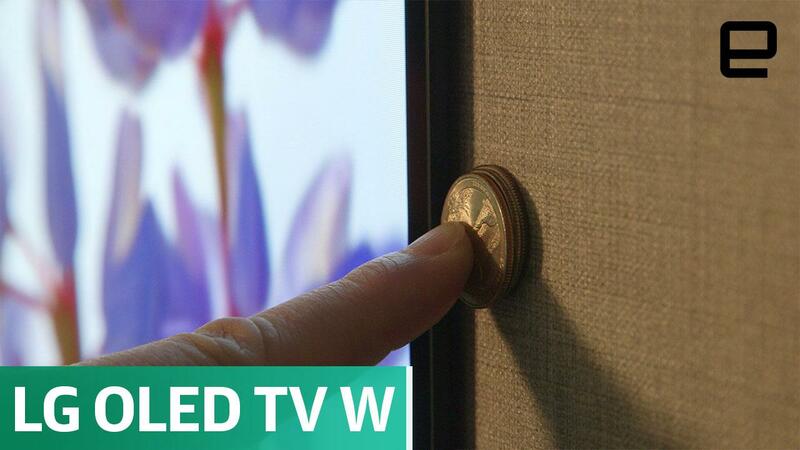 Choosing a TV: LCD or OLED? The 55-inch TCL Roku TV in our holiday gift guide is one of the best deals we've ever seen. It supports both HDR formats, has great image quality and currently retails for a mere $650. Don't worry if you've never heard of TCL before. They've been making sets for years (including for Samsung), and as of 2013 they were the third-largest TV maker in the world. And if you're looking for an upgrade, Vizio's P-Series line is among the best we've ever seen. Reviewing and comparing TVs is time- (and space-) consuming work, so I'd also recommend following Wirecutter's excellent breakdown of the best TVs on the market. As I noted during CES in January, OLED TVs are finally getting their chance to shine. While LG's B6 lineup started at $4,000 when it launched in 2016, it ended up as low as $1,800 by the end of the year. And the comparable 2017 model, the C7, is now selling for around $1,700. Sure, that's a significant leap over the TCL set above, but it's still a steal if you've been following OLED TVs over the past few years. There's a reason we're publishing this piece before Black Friday: Now is the best time to seriously look at a new TV. Plenty of retailers have discounts running all week long, while others will have deals ready on Friday. If you're following the best prices, where you buy probably won't matter to you. In general, though, I like ordering TVs from Amazon, since its delivery service will also set them up for you. (Putting together a TV's components on your own isn't fun.) Physical stores are also good options if you can transport a large set, and of course it's easier to return large items on your own rather than shipping them back. 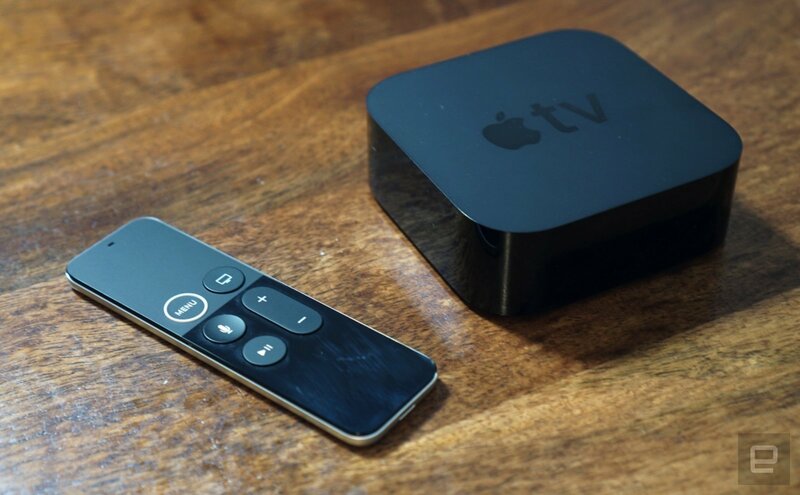 Since most TVs today have streaming apps built in, you don't really need a set-top box. Still, the new 4K dongles from Roku and Amazon are great options if you prefer their interfaces. And if you rely on iTunes, then the new Apple TV 4K is worth considering (especially since it'll upgrade your existing library to 4K). As for 4K Blu-ray, it's not worth the investment for most consumers, since it requires a new player (or an Xbox One S or X). It's best suited to cinephiles who want the best possible picture and audio quality and don't mind the added expense. A more essential upgrade: sound. Even the best TVs on the market typically have mediocre audio, so it's worth snapping up a soundbar, at the very least. Vizio's 36-inch 5.1 wireless system is a solid entry point for surround sound -- especially at the current price of $179, when it typically retails for $250. If you've been anticipating a new TV for a while, now's the time to pull the trigger. After years of sounding like marketing hype, 4K/HDR sets are finally here and cheap enough for most people to afford. While they won't offer the night-and-day difference that HDTVs did, compared with older sets, they're still a significant step forward. And they'll make binge watching all the more worthwhile.